This was his first love. It is nearly wordless, so you can add in words if you’d like. The pictures are vibrant. Brandon can look for the moon, balloon, gorilla and mouse on every picture. And he is so excited to see his favorite stuffed animal, Ernie, in the armadillo’s cage. We actually have everything by this author and illustrator. He also loves Dooby Dooby Moo and Thump Quack Moo. But it all started with this one. 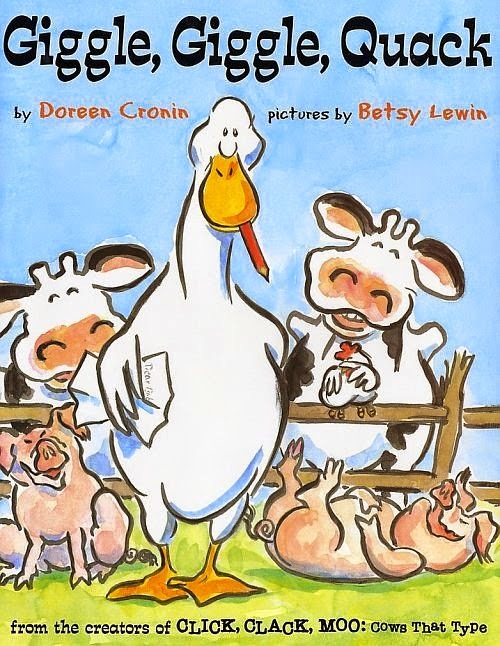 The illustrations are great, the stories are funny. These animals are up to no good! I found this at a garage sale. Apparently this author has another book with instruments which I absolutely must get for my little musician. There is no story line – instead, it is excellent animal pictures accompanied by their names and the sounds they make. Holden thinks it’s hilarious when I try to sound out the bizarre sounds. Brandon loves Arthur books. But he always comes back to this one. D.W. is only five or so, but has such a strong personality that you can’t help but love her and the snide remarks she makes. 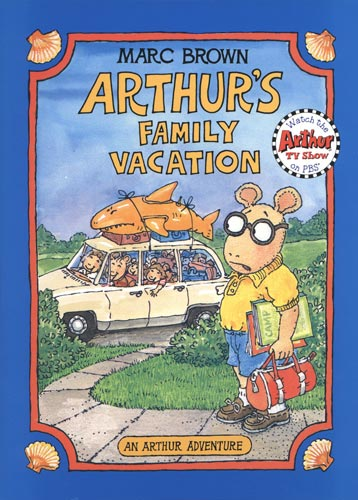 I also get a good chuckle out of Arthur’s clothing choices – he dresses like a 50-year-old computer programmer. Always loafers, and always yellow – either this polo in the summer or a V-neck sweater over an Oxford shirt in the school year. 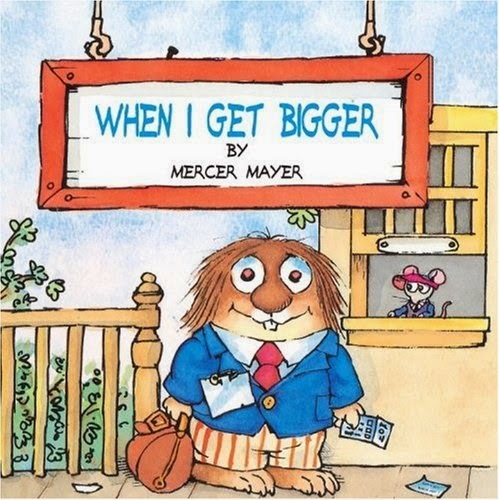 I never read Little Critter books as a kid, but I totally get the appeal now. The mouse is on every page, which is always fun for kids to look for. And Little Critter is mischievous and loveable. 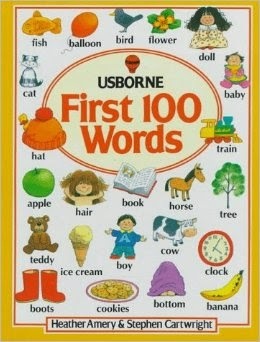 There are tons of Baby’s first 100 words books. We have a few of them, ourselves. But this one is the best. The illustrations are great and the body section isn’t weird like some of them are. We picked this up at the library and Brandon loves it. He can read along with most of it, as it is pretty repetitive and he can count the fruit. 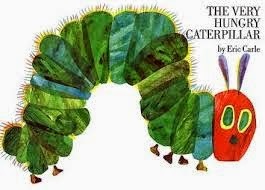 You really can’t go wrong with Eric Carle books. If you didn’t already know, he makes his pictures out of tissue paper – he paints on the tissue paper, then cuts and arranges them and finally glues them onto an illustration board. I like to see what he can do with his unique illustration technique. 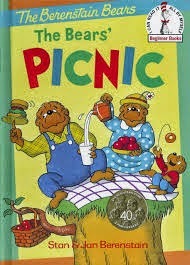 Brandon likes a lot of Berenstain bears books. Warning: they take forever. I often just read the first sentence of each page because otherwise he wouldn’t be in bed until 9p. 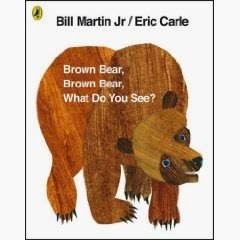 He really likes this older one – the early ones all seem to rhyme and have Brother Bear correcting a stubborn and wrong Papa Bear. Again – Eric Carle. Before discovering The Hungry Caterpillar, it all started with Brown Bear. And then we got the Polar Bear one. There is also a Panda Bear and a Baby Bear one. 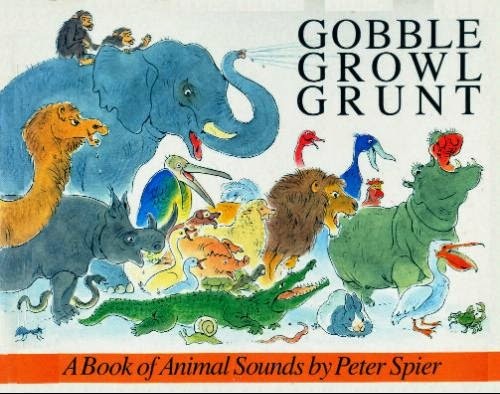 This was the first book Brandon could “read” – it is also very repetitive and as long as you can distinguish colors and animals, you can know what each page says. 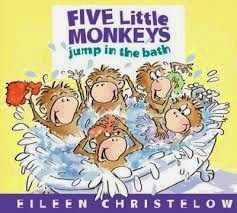 There are many Five Little Monkeys books. 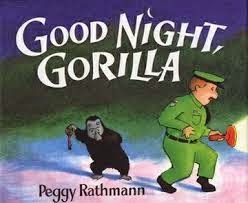 Brandon’s favorites are this one and Reading in Bed. The stories began with the classic jumping on the bed rhyme, and then followed five silly monkeys being raised by an apparently single mother who wears earmuffs to bed. The monkeys are messy and sometimes disobedient, but always loving to each other and their mama. I think we have more children’s books than some small town libraries. But Brandon and I love them. And of course, I buy them on the cheap. Holden doesn’t yet take to books much – he mostly bangs on them or tries to eat them (with the exception of Gobble Growl Grunt). But one day maybe the three of us will have a book club.